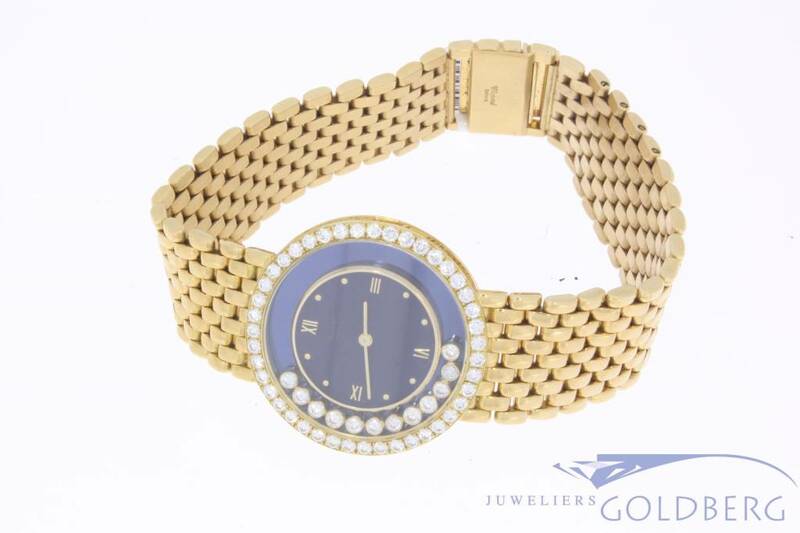 Gorgeous vintage Chopard Happy Diamond 18 carat gold watch. The model number is 895 and the serial number is 436321. 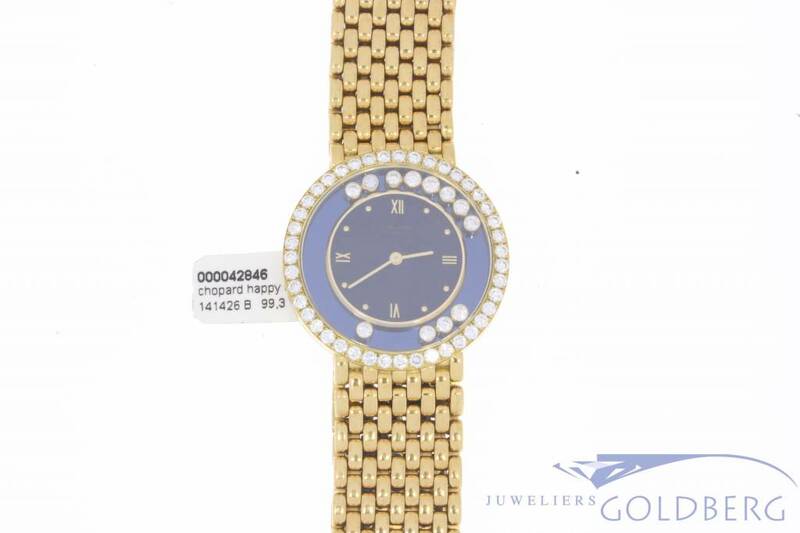 The watch has 12 moving diamonds in the watch case of approx. 0.36ct together. 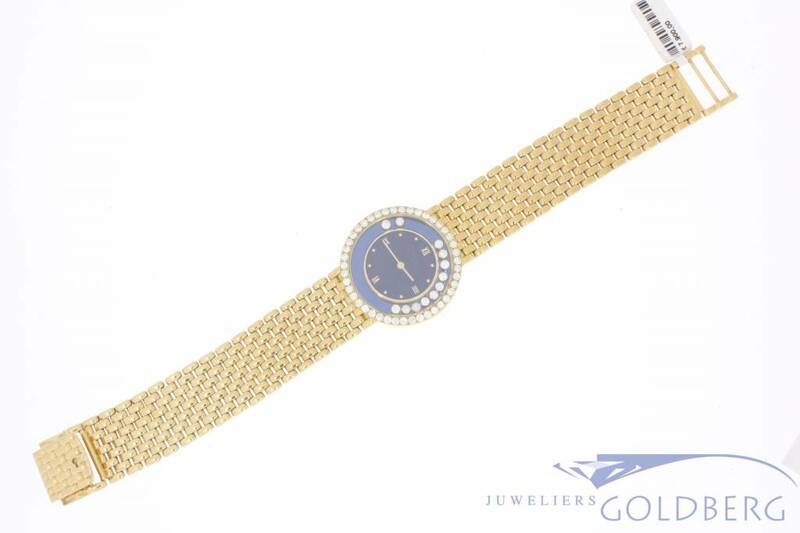 The lunette (edge of the watch) is set with 43 brilliant cut diamonds of approx. 1.29ct together. 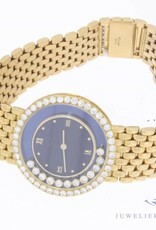 In total, the watch has 55 brilliant diamonds of approx. 1.65ct. 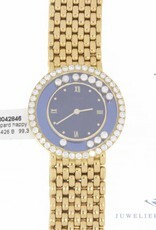 The length of the entire watch is approx. 21 cm. The width of the band is approx. 18 mm. 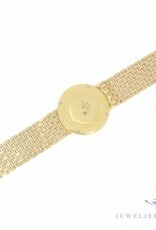 The diameter of the watch case is approx. 32 mm. Equipped with a Quartz movement. 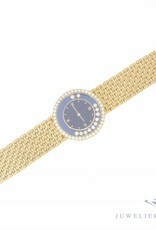 Finishing is as with all jewelry from Chopard is top notch! 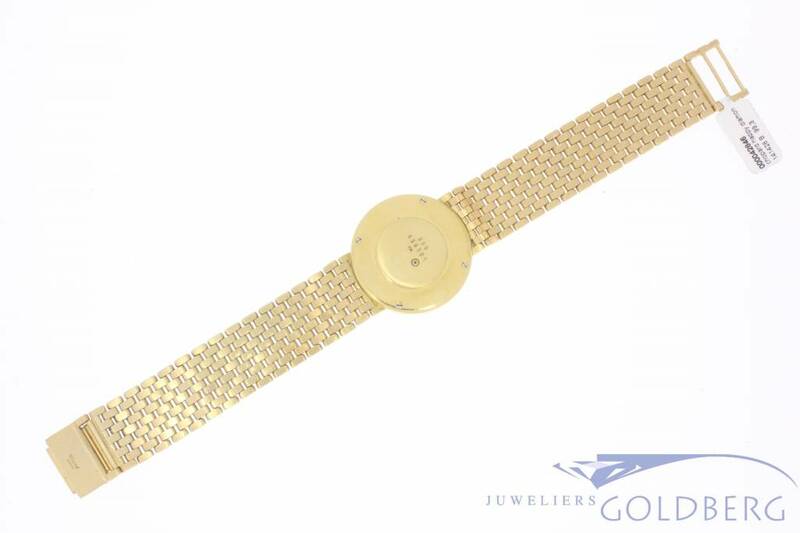 Moreover this 18 carat gold watch weighs no less than 99.3 grams. 12 x '' moving '' brilliant cut diamond together approx. 0.36ct, 43 x brilliant cut diamond together approx. 1.29ct. Total: 55 x brilliant cut diamond, together approx. 1.65ct.